Will it be Optimized? That’s a good question in all honesty. But the answer probably is: Yes it will. Seeing as it’s been out since the 13th of November last year for the last-gen consoles, Ubisoft should have had enough time to optimize the PC port. I don’t think Ubisoft would like to relive the Assassin’s Creed Unity launch. But that’s just me being optimistic. For those who don’t know, Assassin’s Creed Rogue takes place during the mid-18th century and it is a sequel to Assassin’s Creed IV: Black Flag and the Prequel to Assassin’s Creed III. The story follows Shay Patrick Cormac, an Assassin who turned his back on the Brotherhood and became a Templar. He now hunts Assassins much like Haytham Kenway from Assassin’s Creed III did. 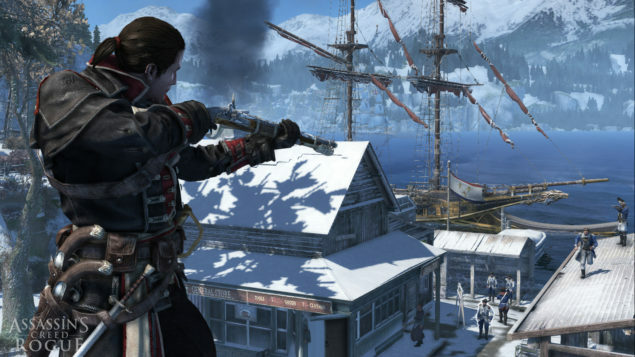 The naval aspects of Black Flag return, however seeing as the setting of the game is mostly in an Arctic environment that means much tighter spaces to travel in. On the other hand some of the new naval features is that you can travel up rivers, as well as being boarded by enemies mid-combat. If you Pre-order Assassin’s Creed Rogue through Uplay, you will get to choose one of these Seven Assassin’s Creed games for free: Assassin’s Creed 3, Freedom Cry, Liberation, Revelations, Brotherhood 1 or 2 Deluxe or the original Assassin’s Creed. Personally I would probably hold of on the Pre-order since there is no way to be sure about how well the game will preform.